Brand: Nielsen-Massey Vanillas, Inc. NMV-86002 Units: 2 oz. 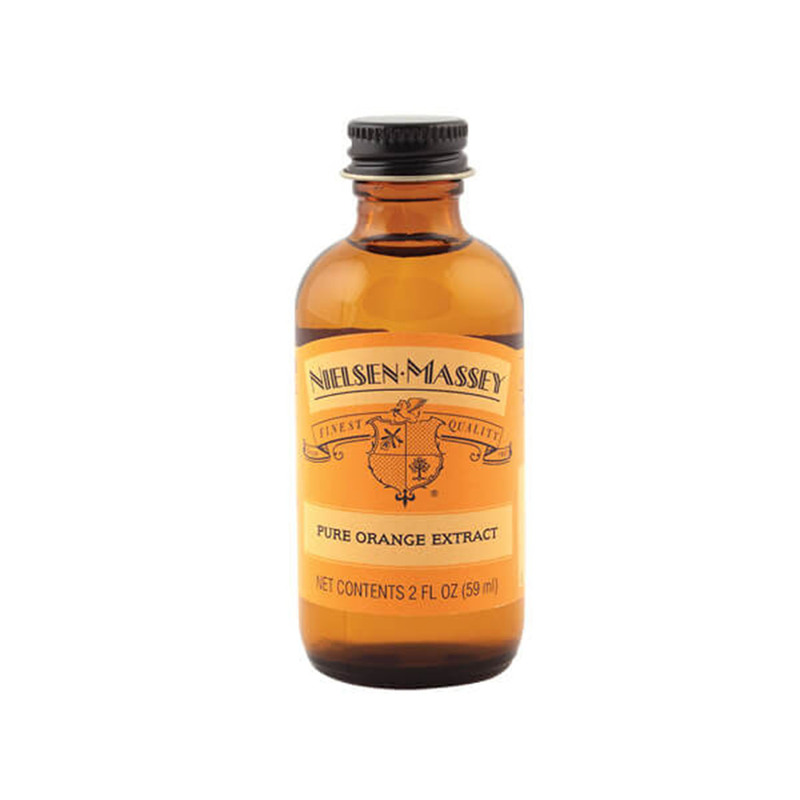 bottle Pure Orange Extract is the perfect partner to several of our other favorites, such as vanilla, chocolate, strawberries, pineapples and many other foods. Enhance rice, chicken, and fish dishes, even jams and marmalades. Add an orange burst to fruit pies, salad dressings, cream and custard desserts, and of course ice cream and sherbets, beverages, and pastries. Pure Orange Extract is the perfect partner to several of our other favorites, such as vanilla, chocolate, strawberries, pineapples and many other foods. Enhance rice, chicken, and fish dishes, even jams and marmalades. Add an orange burst to fruit pies, salad dressings, cream and custard desserts, and of course ice cream and sherbets, beverages, and pastries. Ingredients: Alcohol (90%), Natural Oil of Orange, Water.